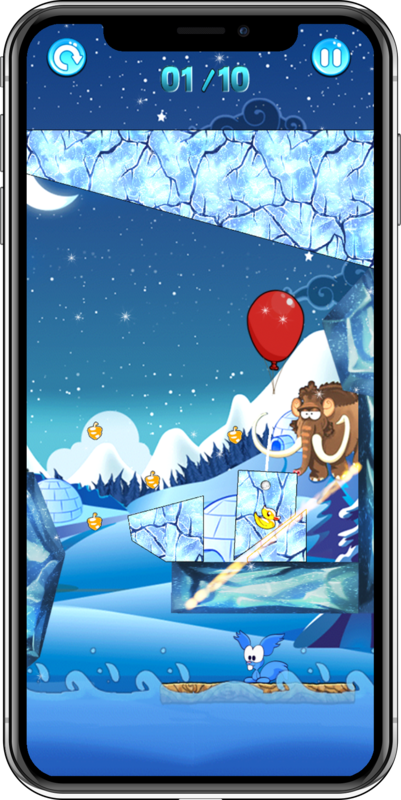 Discussion in 'Pre-Orders, Soft Launches, and Upcoming iOS Games' started by FancyFactory, Oct 4, 2012.
we are proud to announce our latest game - Slice the Ice - which has been submitted to Apple earlier this week. If all goes to plan the release date is around the mid of October. •	SLICE THE ICE- A WEASEL IN A PUZZLE! How far would a blue polar weasel have to go to rescue his lost treasure? A plane has just crashed under mysterious circumstances, and the adorable weasel inside has just lost his entire collection of Yellow Rubber DUCKS! 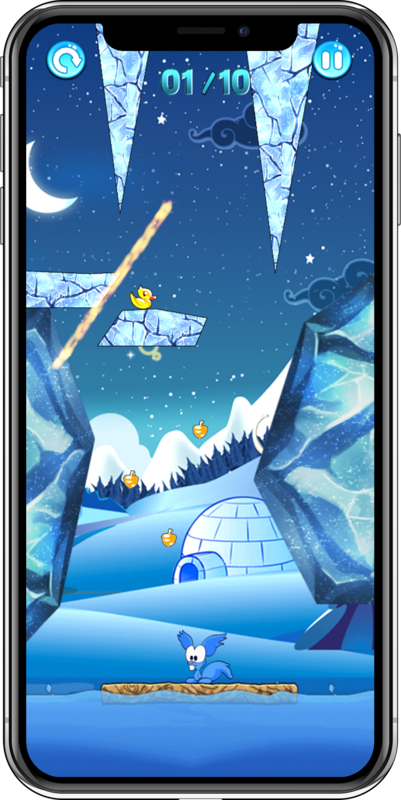 Slice the ice, collect the acorns, and take the help of various objects and animals to guide the golden ducks back to Scrappy in this vibrant, brain-teasing and adorable physics- based puzzler! Take Scrappy on this puzzling journey across snowy terrains, grasslands and underwater reefs spanning 5 WORLDS and 100 LEVELS! Scrappy the blue polar weasel is sure to put a smile on your face with his wide range of cute expressions! Go to extreme lengths to return the ducks back to their rightful owner by making use of Rockets, Springs and even a Polar Bear! But do remember- every SLICE counts! Collect acorns by slicing ice in various shapes and sizes, and at the same time, guide the rubber ducks to Scrappy! Experience Scrappy’s different worlds in colorful, vibrant HD! Puzzle your way through 5 different worlds across 100 challenging levels! Compete with your friends via Game Center! Sync your saved games across all iOS devices! Share your scores on Facebook and Twitter and check-in to Heyzap! So, in summary it can be said Slice the Ice is a member of the slicing puzzle games. You can freely destroy the made-out-of-ice 2D environment by slicing blocks out of the ice formations. A very simple one-touch gameplay is guaranteed. For a better ranking in the worldwide leaderboards (via Gamecenter) try to solve each level with as less slices as possible. Also, the less time you need and the more golden nuggets you collect the higher you score will rank. You can quickly solve a level, but it takes some thinking to solve it perfectly! 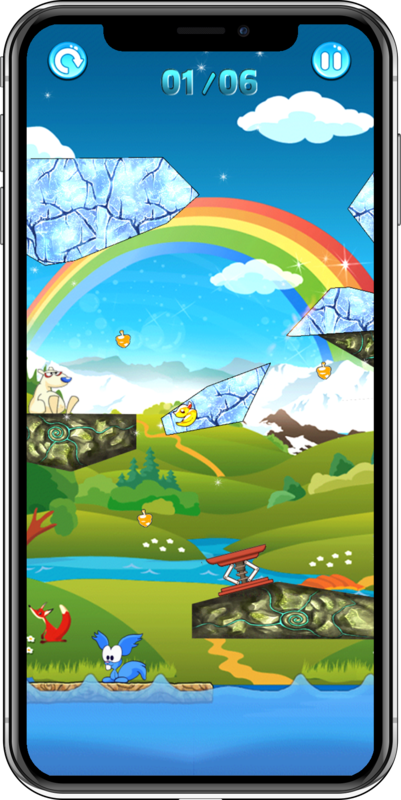 Slice the Ice will be available as an universal freemium game with native support for iOS 5.x compatible iPhone/iPod/iPad devices and iCloud savegame syncing. You can play the first world - 20 levels - for free! If you like the game you are welcome to purchase 4 more worlds for a total of 1.98$. 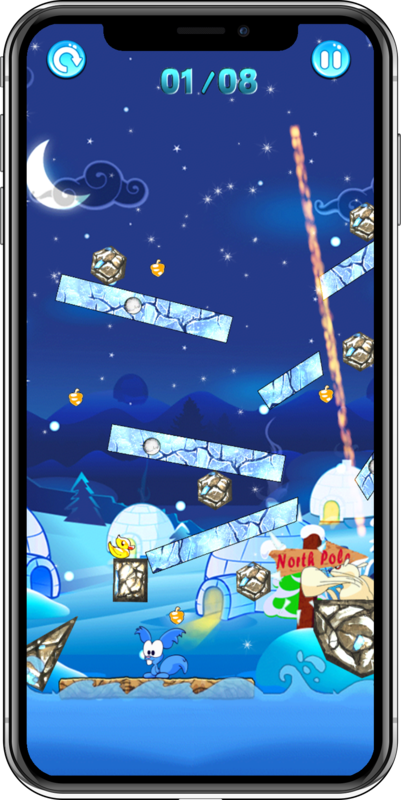 Slice the Ice is a co-production from Fancy Factory (Developer) and Playcaso (Publisher). Do you have any questions? Please let me know! Thank you! The artist will be happy to read your line.